Artificial intelligence (AI) technologies such as voice and image recognition, machine learning, neural networks and simulations have the potential to change dramatically both human performance and how businesses organize the workplace. It is clear that people and machines can work together to improve performance. How are companies and industries using AI to improve performance and their competitive advantage? And to what degree might machines replace humans in the workforce and what will that mean for the future of jobs and work? 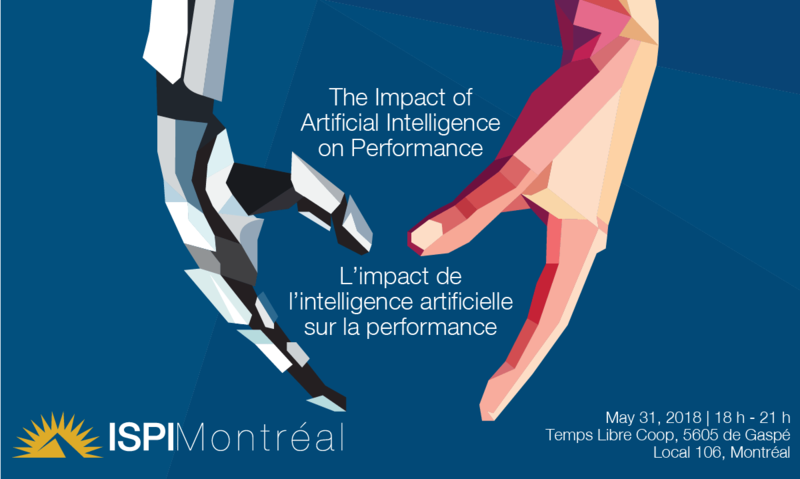 To answer these top of mind questions, on May 31, ISPI Montreal will host a bilingual panel discussion on “The Impact of AI on Performance.” Our panel will be composed of AI specialists who have studied the performance improvement potential of human machine collaboration, and will discuss implications, concerns and possibilities. Light refreshments will be served. To register in Eventbrite, click here. We look forward to seeing you there and please feel free to invite interested colleagues!